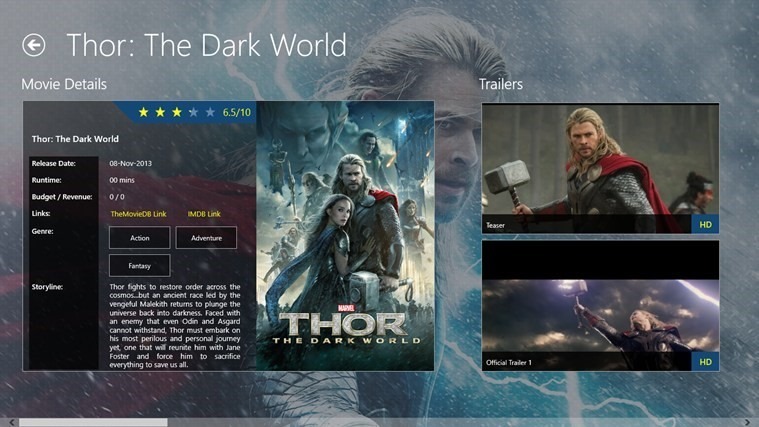 Some of us have been wondering how long will it take for IMDB App to appear in the Windows Store. Basically, I for one have grown tired of waiting, and whenever an app appears in the Store that gives the same information that IMDB does, I had to take a look. Well, I think my search has ended now with Movie World. With this app you don’t need IMDB App anymore. Does the app need more tweaking? Of course it does, no Windows 8 app is perfect at this moment. I am sure the Devs are working hard to bring you more features. But for now, it is already awesome. Your gateway to the world of 150,000+ movies and celebrities. 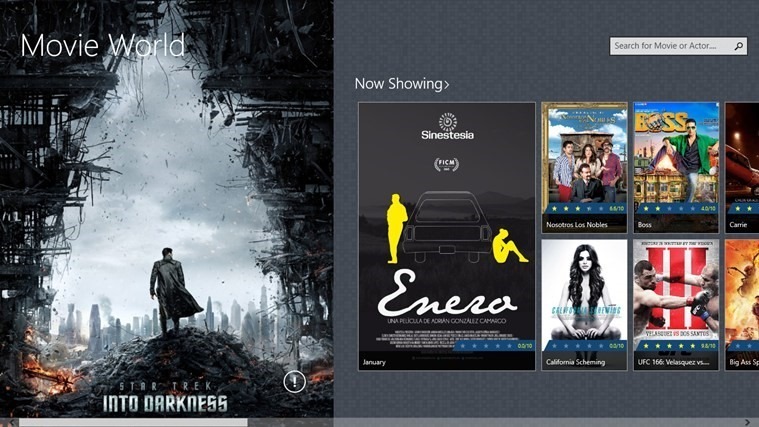 Keep updated on latest, upcoming and trending movies, search for movies or actors, watch/download trailers (in HD), keep track of the movies you want to watch. All this available with the single convenience of this app. 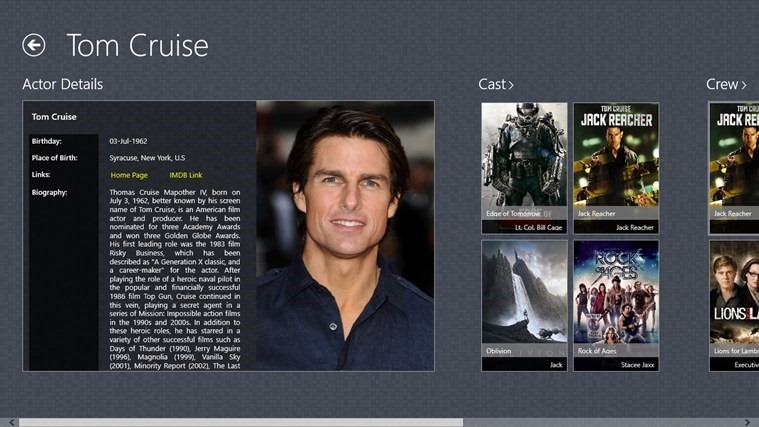 If you’re also frustrated with lack of IMDB App in the Store like I am, please download Movie World now via the source link below.